Infosys Technologies, the second largest IT services exporter, which usually marks the beginning of the results season, is known to set the tone for the earnings season by beating market expectations and its own guidance. However, since last few quarters Infosys has been giving cautious outlook and guidance for the forthcoming quarters, as its key markets – the US and the Europe – are still reeling under the pressure of slowdown and high sovereign debt concerns that could impact the industry growth. Even as I am writing this, the stock price of the Infosys Technologies has tanked 4% on the back of reporting muted quarterly results dragged down by firmer rupee and higher wage costs weighing on rising demand. The IT bellwether company has posted a consolidated net profit at Rs.1780 crore, which lagged by 40-45 crore from market expectations, while the company logged a growth of 2.48% on quarter on quarter basis. 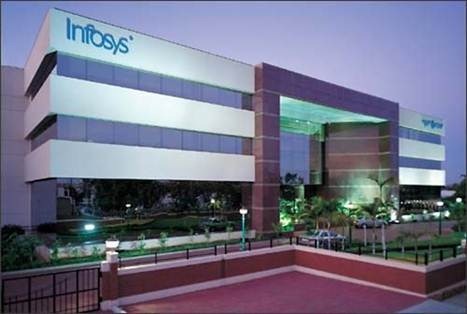 Infosys revenues for the third quarter stood at Rs.7106 crore against Rs.6947 crore in the last quarter, an up-tick of subdued 2.29% over the last quarter. According to the market analysts the revenues have fallen short by about Rs.100 crore suggesting that the actual growth rates have below markets’ expectations. For the Q4 of FY11, the company expects the revenues to be in the range of Rs. 7157-Rs.7230 crore and EPS at Rs.31.06 – Rs.31.28. For the full year ending March’11, the company sees revenues to fall in the range Rs. 27408 – Rs.27481 crore and EPS at Rs.118.68 – Rs.118.90, a tad higher from its earlier guidance. Infosys has upped its rupee revenue growth guidance, from 18.5-19.5% earlier, to 20.5-20.84% for FY11. BPO segment grew at a healthy 7% Q-o-Q. BFSI segment grew by 8.3% sequentially. North America grew by 4.3% and Europe was up by 6.3% sequentially. Can Infosys continue to remain darling of equity investors?